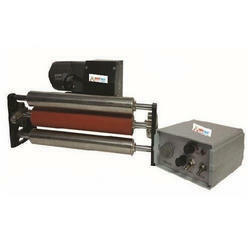 Our product range includes a wide range of dry ink batch coder and ribbon lock & follow coding machine. SPBC 600 Dry Ink Batch Coder is ideal for printing labels on papers, thin cardboard, non-absorbent plastic film and an aluminum film with solid ink, characterized by high definition, instant printing & instant dry and strong adhesion. 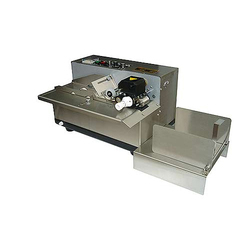 SPBC 600Batch coding machine fit for printing label on paper, thin cardboard, plastic film and aluminum foil. Adopt solid-ink coding, characterized by high definition, instant printing & instant dry and strong adhesion. The lock-and-follow coding machine can be used to match with vertical or horizontal automatic packaging machine for printing label. We are Offering best quality Ribbon Lock and Follow. The machine can be used to match with vertical and horizontal automatic packaging machine and print the label of the product.